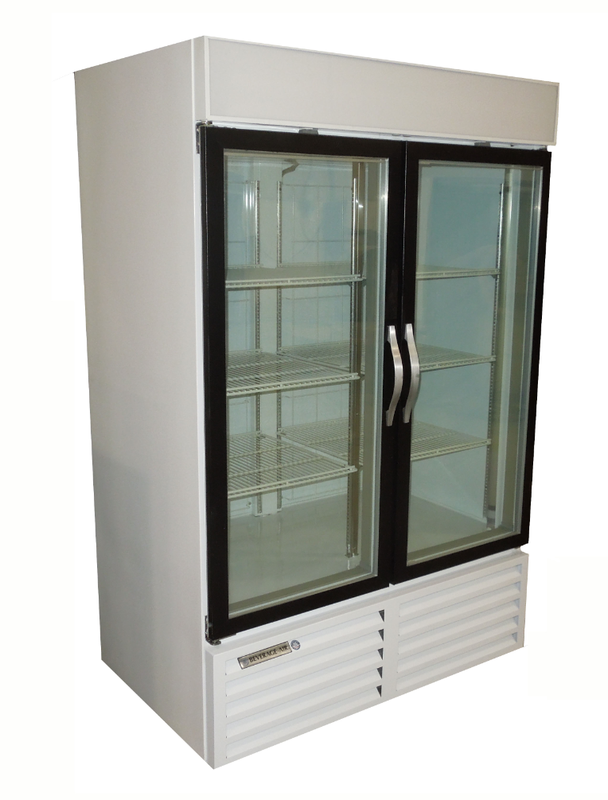 We offer Used Commercial Freezers by True and Beverage Air. 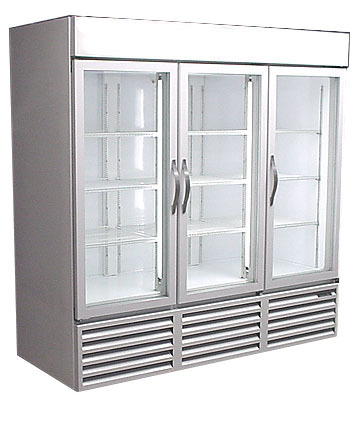 Choose between two door and three door freezers with glass doors to display your ice cream, frozen foods and other frozen products. 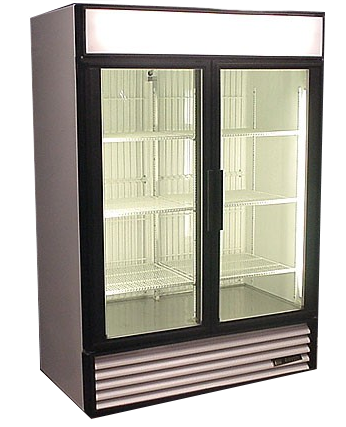 All used commercial display freezers and merchandiser freezers are perfect for grocery stores, convenient stores, restaurants and other applications in which refrigerated products are being sold. 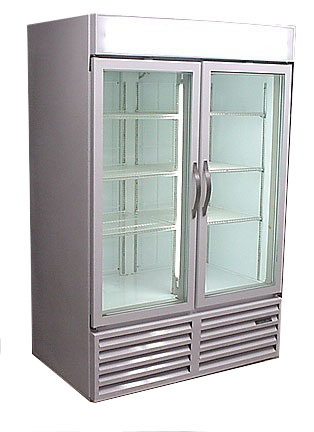 Contact us today to place an order for a 2 door or 3 door refrigeration freezer and we will ship your order direct to your business or even your home. Discounted rates are offered for multiple orders. All of our units come with a 30 day parts and labor warranty! 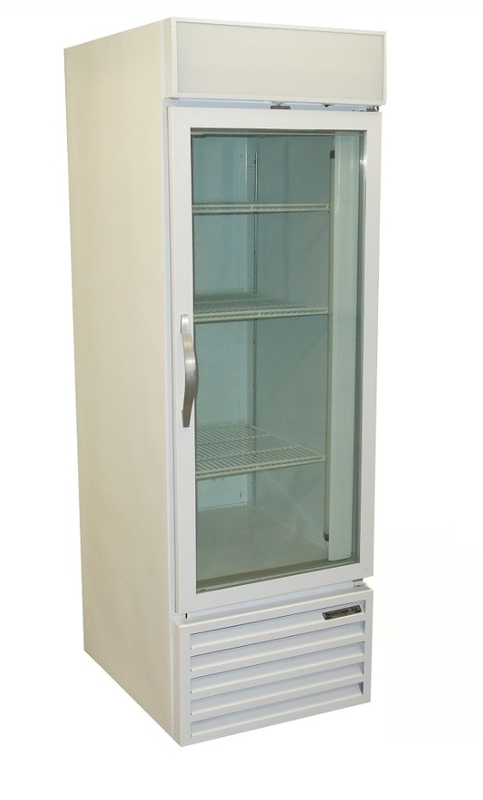 Self-closing swing door preserves cabinet temperature. Tempered thermal glass provides enhanced insulation as well as ultimate safety from glass breakage. 24 Cu. Ft. Interior Capacity. The freezer has been pressure washed inside and out then painted with premium white enamel. This freezer was thoroughly checked by a certified refrigeration technician and cooled to -10 degrees. All three shelves are adjustable and additional shelves can be purchased. No drains are needed for condensate. 26 Cu. Ft. Interior Capacity. Digital temperature control displays the temperature inside the box at a glance. 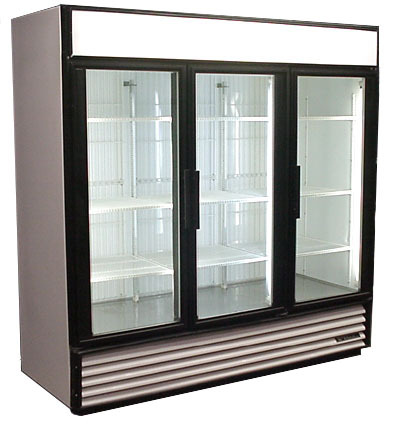 Self-closing swing doors preserve cabinet temperature. 49 Cu. Ft. Interior Capacity. All six shelves are adjustable and additional shelves can be purchased. 48 Cu. Ft. Interior Capacity. Castors included - castors will be packaged inside the cabinet, we cannot ship the unit with the castors installed. Please click here for shipping rates to your location. 72 Cu. Ft. Interior Capacity. All nine shelves are adjustable and additional shelves can be purchased.